Ashleigh is a chartered physiotherapist with a BSc Honours from Brunel University London. 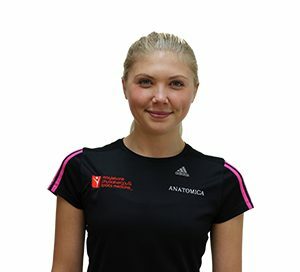 She decided to study physiotherapy because it combined her love for physical activity with science and an enjoyment of continual learning. As a clinician Ashleigh likes looking for new ways to address problems. She has a particular interest in exploring how new technology can be put to therapeutic use. After working with patients on a Hyper Acute Stroke Unit, Ashleigh conducted research into the use of Virtual Reality for Stroke Rehabilitation. Inclusion of this new technology alongside traditional methods has shown promising results and Ashleigh is keen to provide an exceptional standard of care by applying contemporary techniques. Ashleigh has experience of treating orthopaedic disorders and takes an interest in the rehabilitation of sports related injuries. She has also worked within respiratory, paediatric, geriatric and neurological physiotherapy. Ashleigh enjoys taking part in a variety of sports and has competed nationally as a dancer and cheerleader. She also has completed several half marathons and recently her first marathon. Recognising the importance of physical activity in development she has also spent time working with her local youth group to promote active lifestyles.